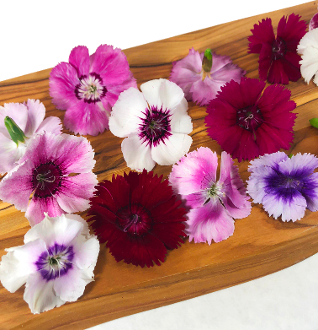 Assorted Colors of Dianthus, From Pinks to Reds to Burgundy & White. Mild tart flavor. All Delightfully Cheery! Great for adding a splash of bright color to green salads. About 1.5" in diameter.